Ideas for a college radio station at St. Bonaventure first took shape about 95 years ago. In 1916, under the guidance of Stephen Donovan, of the school’s Science department, the idea became reality when the United States Government granted an operating license to St. Bonaventure College that would last only 2 years. As of a result of World War II the college was unable to renew their license. 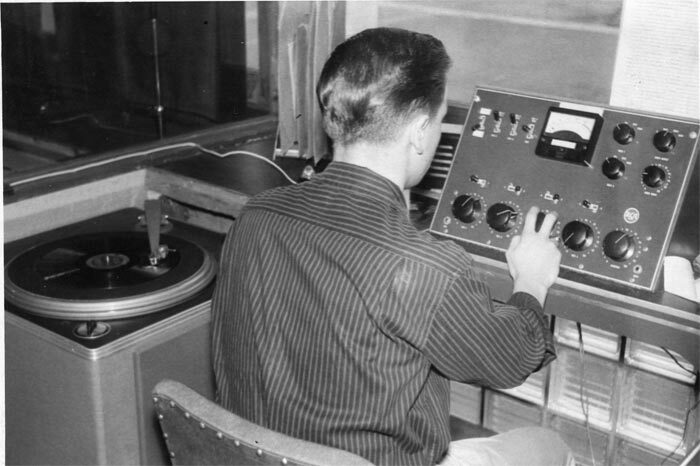 It wasn’t until 1947 when the idea for a college radio station reemerged. Reverend Giles Webster oversaw a program entitled Bona News Show, a fifteen minute class room production made up of different students. Some students involved in the program had expressed interest in developing a new campus radio station. Rev. Webster was able find a 5 watt transmitter in local Olean, New York, meanwhile a station manager and staff was hand chosen from members of the campus. Thus, the first student run organization was born at St. Bonaventure College. In 1947 it was highly original to have a group of students organize, govern themselves, and basically run the show. Fr. Banks O.F.M. and company working at the radio station. On Monday November 22, 1948 at 8:15 p.m. WSBC went on the air for the first time. 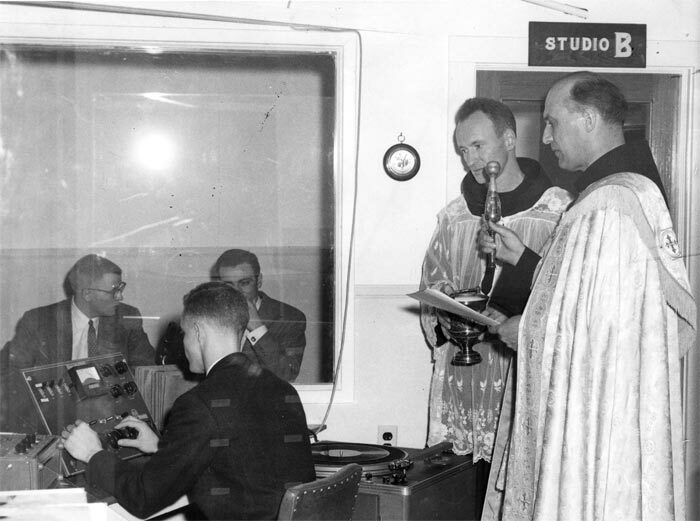 Located in what was originally intended to be a pigeon loft in Alumni Hall, the radio station was dedicated and blessed by Father Thomas Plassmann OFM and Reverend Giles Webster. Constantly inundated by a lack of space and a transmitter that frequently broke, the radio station was only able to be on the air for two hours per day. 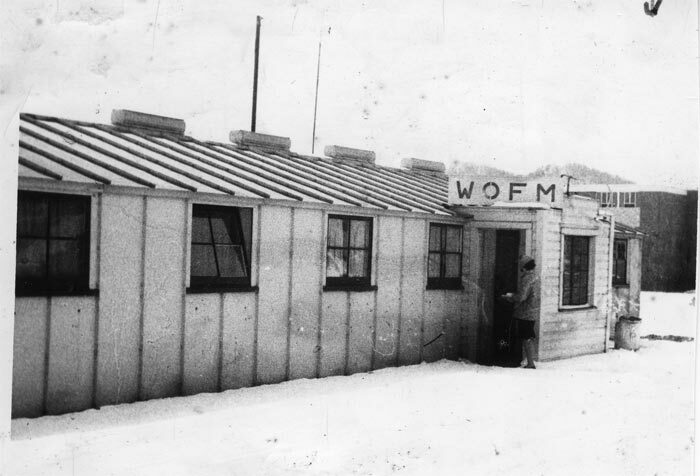 Several months later the radio station changed its name from WSBC to WOFM, standing for Orders of the Friars Minor. 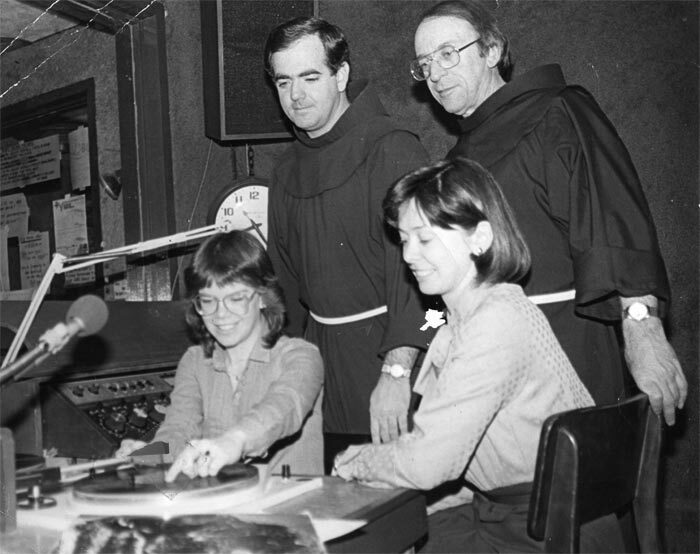 That same day, the St. Bonaventure radio station joined what is known as the Intercollegiate Broadcasting System, a nonprofit organization that put together monetary resources in order to support common college radio problems. 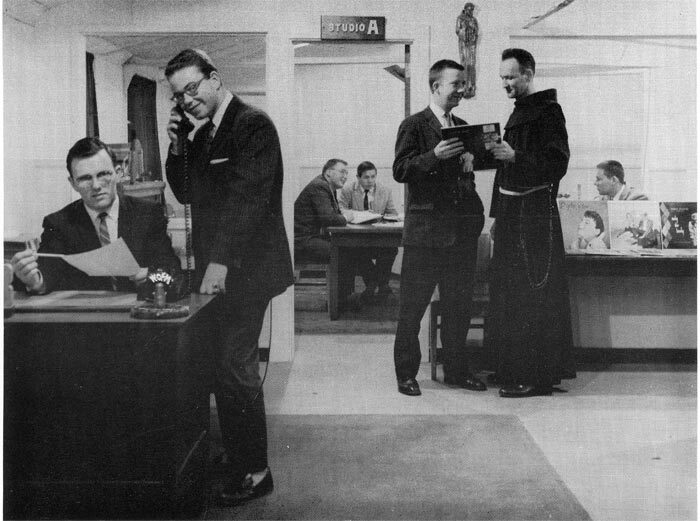 The 1950s started with what might have been the end of St. Bonaventure’s radio station. Father Francis Sullivan had increased the studio’s capabilities by getting rid of the 5 watt transmitter and building his own 15 watt transmitter. Plus, the record label and phonograph manufacturer RCA offered the school a new consolette, two refurbished turntables, and a tape recorder for roughly $1000, which the station could pay for over the course of the next two years. Things took a turn for the worst when an employee of the Federal Communications Commission was driving through the Olean are and realized the college radio station was broadcasting at 15 watts , which was beyond the 5 watt limit they had originally been allotted. The agent went to the station and informed them the station was breaking the law and must cease their operations immediately. By broadcasting at 15 watts they were interfering with other stations, also they kept no log of programs, and had never been licensed by the FCC. Two Fathers blessing the radio station. In October of 1952, plans were drafted in an attempt to get WOFM back on the airwaves. Dubbed by students and faculty as "Operation Transmission" they hoped to move the station to a new home in the press box at Forness Stadium. By February of 1954 the operation was complete and WOFM was back on the air broadcasting 5 days a week, 7 hours per day in facilities that included two studios, a control room with two turntables, and a homemade transmitter. There stay in the press box, however, would be very short-lived. By March of 1958 they moved to a new home at one of the surplus army barracks near Butler Gymnasium. New equipment included United Press teletype machine and 500 feet of wires to link the transmitter around campus. In 1964 the construction of Robinson-Falconio Hall, the school was forced to demolish the barracks and move the radio station back into Butler Memorial Gymnasium. It was around this time that a long-standing Bona Radio tradition began: The Merry Christmas Melody Marathon. Remembered as just simply MCMM by many, the fundraiser allowed college students to spend time with underprivileged children and provide them home with new clothes, toys, and food. In 1967 WOFM moved from the basement of Butler to room 210 upstairs in the brand new $3.7 million dollar University Center, known today as the Reilly Center. The radio station was happy to be in the new building surrounded by campus activities and events. The station that was built for them in "the RC" is still in use today. The 1970s saw more transmitter problems that forced the station off the air for several weeks. Fortunatley, the station was able to broadcast their signal through Channel 10 Allband Cablevision in Olean while tending to technical difficulites here on campus. 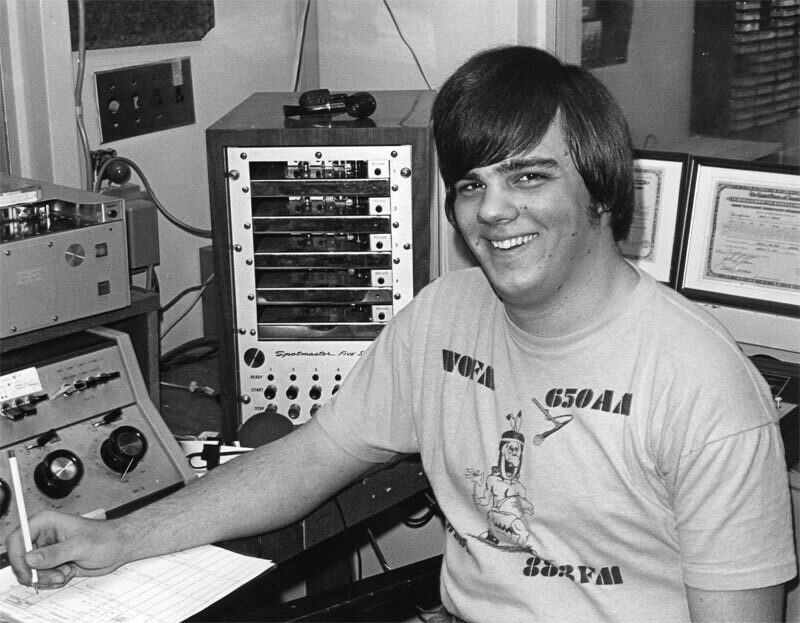 Mark Scott '77 wearing a WOFM shirt, before the switch to the WSBU moniker. In 1972 they became one of ten college radio stations to join the United News Service or UNS, which supplied the station with news feeds and clips weekly. Other colleges involved included Brockport, Fredonia, Oneonta, and Stony Brook. Things were looking up for the station when another long-standing dream came true: broadcasting on the FM dial. According to station manager, Dominic Genova, hopes were that broadcasting on FM would provide the community with more viable service and allow students working there to get experience in a "more professional atmosphere." Following numerous applications and multiple fundraisers, no additional hurdles stood in front of the radio crew and the project was complete. In April of 1975 the station received formal permission to broadcast on the FM dial. Because of a radio station in Kentucky broadcasting under the moniker WOFM, their name was changed to WSBU. They began broadcasting from 88.3 FM band and the rest was history, or so they thought. The FCC decided that by January 1, 1980 all stations operating at 10 watts or less would be removed from the airwaves. Since WSBU was broadcasting at only 10 watts they realized they would be removed completely from the airwaves unless they were able to purchase a 100 watt transmitter. Fortunately they were able to secure funds by throwing parties at the local bars in Allegany and ensure that the station did not go off the air. Around this same time, the long standing event, MCMM, was put to rest indefinitely. 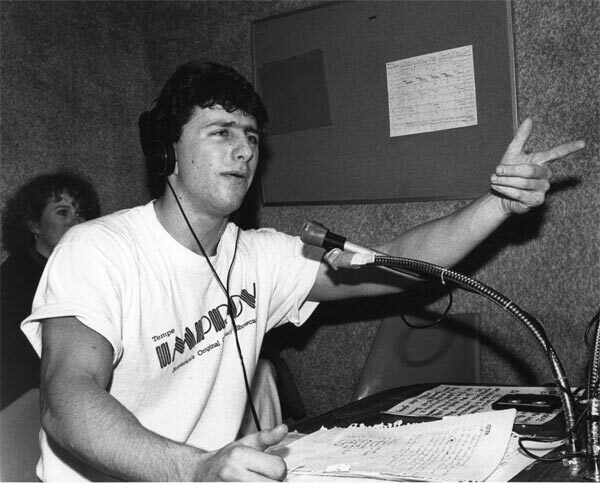 In 1984, WSBU became only the 3rd college radio station in the nation affiliated with CNN radio. As a result, they received hourly newscasts, as well as enternainment and sports features. Within the following year, WSBU began a new line of news coverage entitled 'Seven Days Magazine' that recapped worldwide news as well as community and campus information. They also switched to AP news wire service that same year based on fiscal reasons. David Bernard '90 talking on air. The new radio station within the Reilly Center. December of 1992 brought the decision to keep the radio station on the air during student's Christmas vacation. The staff brought in local BOCES students to run the station, offering them hands-on experience and opportunities they might not otherwise have been afforded. Four years later in 1996 the station was officially branded as "88.3 The Buzz". The station also made its first attempt at a website, wsbu.fm.net let people listen all over the globe with one listener all the way in Russia! The story was picked up by the Buffalo News saying that Bona Radio was now "broadcasting" in Russia. This was the same year that the radio station also began their Hall of Fame to honor those who had made worthy contributions to the success of the radio station. By the fall of 1997, WSBU was now the 7th best college radio station throughout all of the nation. Another WSBU tradition emerged around this time: the printed magazine. 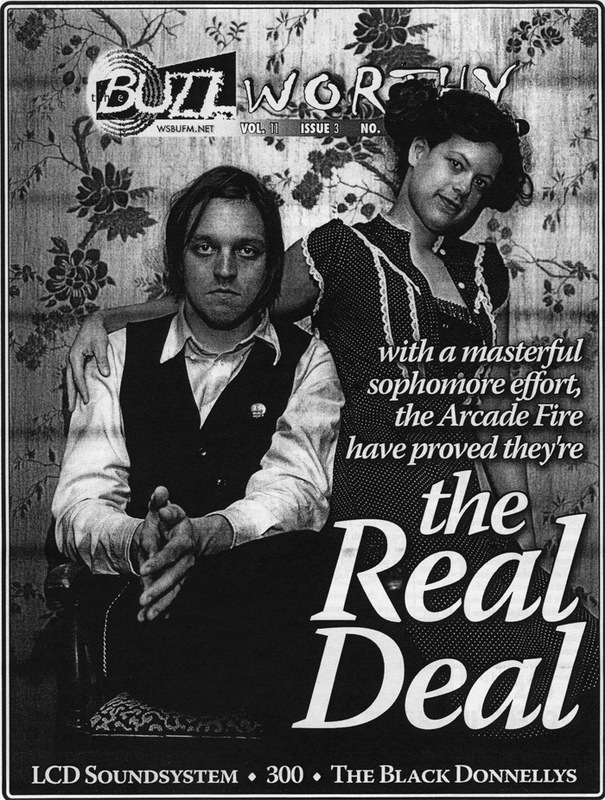 In October of 1998, Matthew Holota and Alexis Weider brought 'The Buzz Beat' to campus readers. By 2001, 'The Buzz Beat' had transformed into 'The Buzzworthy', which has existed on campus at least up until 2011. 'The Buzzworthy quickly grew from a small four page publishment, to a full-fledged, 20 page magazine printing multiple issues per month. 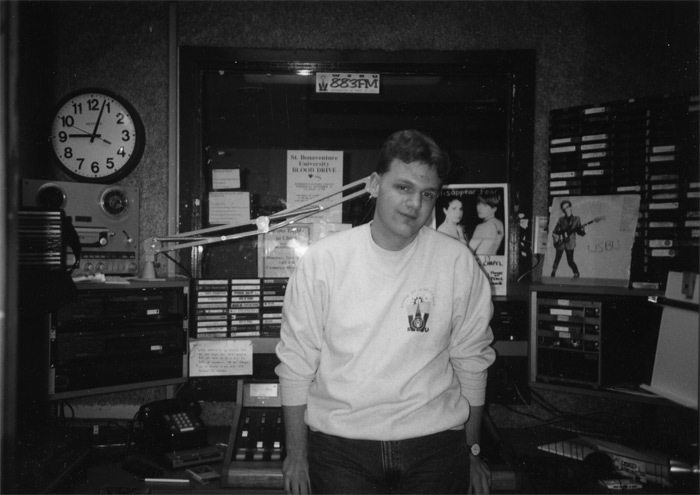 Eventually with the launch of www.wsbu.net , 'The Buzzworthy' was available online as well as a live broadcast of the station. Also, just as rock had been given a face-lift at WSBU, so did hip-hop. Thanks to the hard work of some new directors, Hip Hop weekends became a stand-out feature of WSBU. Music libraries were updated, and so were DJ time slots so that the most popular DJ's had the best weekend time slots for their shows. On August 20, 2007, Public Relations Director Stephanie Nikolaou released a press release stating that WSBU-FM 88.3 The Buzz was officially ranked by the Princeton Review as the #1 College Radio Station in the Nation. At last, a dream almost 59 years in the making was true. 'The Buzzworthy' Magazine cover, Volume 11, Issue 3. Centanni, Joe. “ ‘It's In My Blood’ : The Story of Bonaradio.” J/MC capstone paper. 2008.